I have received several emails from readers to inform me about one webisode from NBC's The Office. 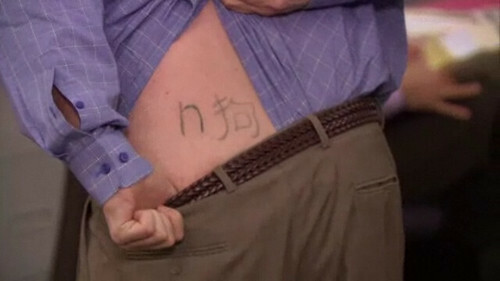 In the video, Andy Bernard made an announcement that claimed his tattoo is "nard dog". Although it is not exactly "nard dog", "n 狗" (n dog) is close enough.